Costa Rica is situated in the Central America and is a small country known for its amazing waves to surf and lush jungles. Aside of abundance of rain, it is easy to fall in love with the country and what it has to offer, especially its loving people. If you love lush jungles, rain forests, adventure, beaches, food, volcanos and upfront wildlife, this is the place to visit. 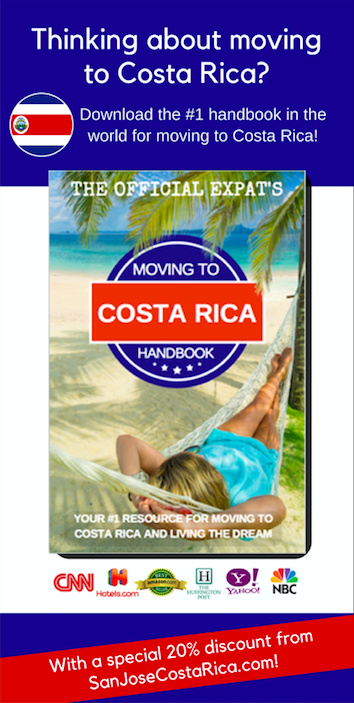 If you have already decided to visit Costa Rica, you may be confused where to stay. Here is a list of Costa Rica All Inclusive Resorts that will make your trip even better. Which Hotels in Costa Rica are The Best All Inclusive Ones? We all know that sometimes all inclusive vacations are the ultimate thing life is missing. Having not to worry about anything and just enjoying the beach around you with all the meals you can have is necessary and in Costa Rica you can have exactly what you want. In Costa Rica you can find a number of different all-inclusive family resorts and all-inclusive adults only resorts that are nearby Costa Rica’s best golf courses and other activities so you can combine your vacation with a number of different activities. Most of the all-inclusive resorts in Costa Rica are located in its Guanacaste Province nearby the Daniel Oduber Liberia International Airport. There are however other all inclusive resorts located in the other regions of the country but in here you will get the best. So if you are heading out to Costa Rica, your number checklist should be booking with one of the many all-inclusive resorts in Costa Rica. Below you’ll find a list of the best all-inclusive resorts in the Guanacaste Province. The all inclusive family resort is on the beautiful beach of Playa Langosta beach which is next to the Las Baulas National Park. The hotel features a fully functional spa and an outdoor swimming pool. Each of the hotel’s room offers the view of the Pacific Ocean from their balcony. It is the perfect hotel to go for if you love nature and beaches. The Westin Resort & Spa is situated near lush forests and amazing beaches. 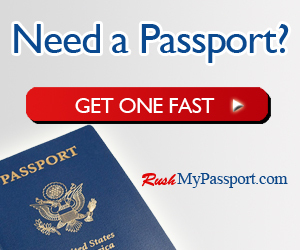 It offers a 5 star all-inclusive family resort services in Costa Rica. The Resort has 406 luxurious rooms that easily rivals some of the best suites offered anywhere else. If you love pools, spas, golf and great bar service, then the Westin Golf Resort is one of the best you can visit while you are in Costa Rica. Dreams Las Mareas is another all-inclusive resort that is located in a rainforest next to the El Jobo Beach and is also near to the Guanacaste National Park. The suites of the hotel are equipped with everything you’ll ever need such as free Wi-Fi, flat screen TVs, iPhone docks and coffee makers. Plus the terrace on the rooms has a Jacuzzi for you to enjoy. This all-inclusive resort is located in the Bay Whale, Puntarenas which is at the Pacific coast of Costa Rica. It is built right in front of the Tambor Beach. It has 402 rooms with terraces and balconies. Each room is equipped with cable TV, telephone, mini bars, air conditioning and more. The hotels serves free food and drinks at the restaurants it has. If you are not planning to stay in Guanacaste, you can check out the following resorts in the Central Pacific Costa Rica. If you cannot find a all inclusive resort where you are planning to visit, don’t worry! Costa Rica also have some of the best resorts in the world, you’ll bound to find a luxurious resort in any of the area you are planning to visit. 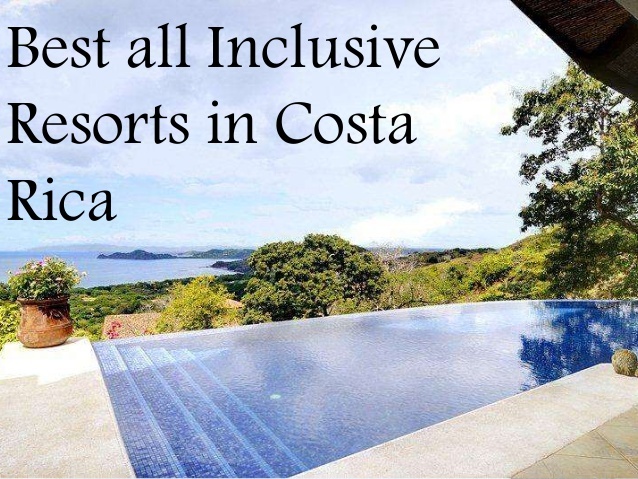 Of course, there are plenty of other hotels to stay at in Costa Rica that are not inclusive. If you want to spend whatever you want and live lavish, we recommend you check out the Four Seasons Resort review. For the single male traveler, here is a list of San Jose Hotels.